High Quality Online Program with Mock Exams. Scaled Agile is an enterprise agile framework for large-scale Agile implementation. Scrum is effective with small teams, but lacks a clear roadmap for larger, distributed and enterprise teams. The scaled Agile framework is a concrete solution having its underlying principles derived from lean, system thinking, Agile Development, product development flow, and devops. SAFe Agilists are the leaders who play the scrum of scrum roles in the SAFe Agile environment. 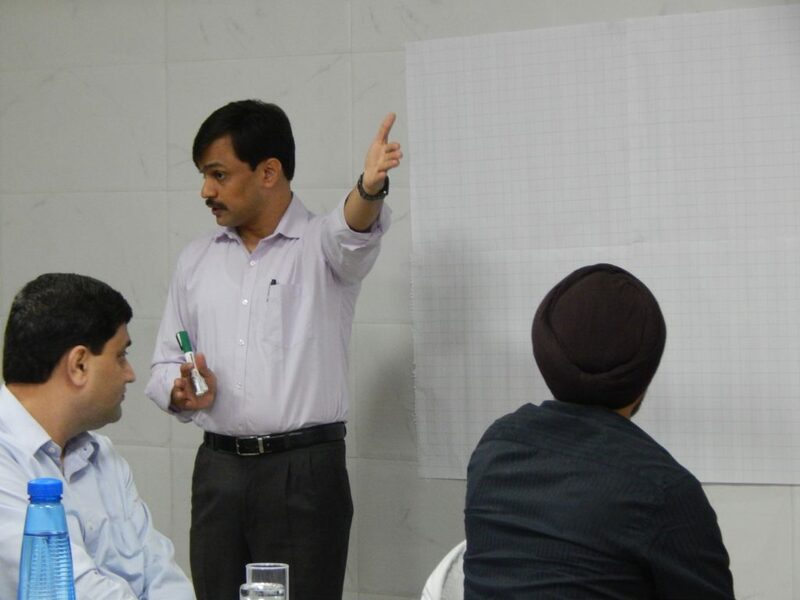 The two days workshop focus on the practical aspects of the scaled Agile framework. The ever-changing market condition is very demanding and offer a unique challenge of scalability, relevance, the speed of delivery and quality. Scaled Agile is not just a framework; it’s a culture of productivity, customer focus, and lean delivery. The two days SAFe Agilist makes you eligible to take the SAFe Agilist 4.6 Exam. Master the Scaled Agile Framework. Understand the lean and Agile principles and develop skills to implement lean in your organization. One year membership of Scaled Agile Academy. The Scaled Agile Certification is for managers, Agile Leaders, IT Leadership of the organization, Development and QA roles. If you are working with a Scrum team and want to scale your scrum practices to the enterprise level, understanding of scaled agile framework can help to a great extent. 5+ years’ experience in software development, testing, business analysis, product, or project management. Experience of working in Scrum Master role. Q. Is it mandatory to attend a classroom training for SAFe Agilist? Attend two days SAFe Agilist Workshop by with an SPC. Study with the material provided in class and the SAFe big picture. Register on Scaled Agile Academy Community portal. The trainer will share the exam link and data with you. Q. How many PDUS and SEUS I will get? A. The two days SAFe Agilist Workshop will offer you 15 SEUs in category C (Face to face training outside Scrum Alliance.) and 16 PDUs for renewal of PMP, PMI ACP, and PMI PBA Certificates. The information and process to claim PDUs will be emailed post completion of the workshop. Q. The scaled Agile Academy has multiple certificates which one should I choose and Why? SAFe Scrum Master Scrum Masters, Scrum Professionals working in SAFe Environment Not offered by izenbridge as of today. SAFe Advanced Scrum Master (SASM) Scrum Masters, Scrum Professionals working in SAFe Environment Not offered by izenbridge as of today. Q. How is Scaled Agile Framework (SAFe) Different from Scrum? A. SAFe or the Scaled Agile Framework solves the fundamental problem of Scrum. Scrum is recommended, and effective are small teams. The ideal team size for scrum is nine people including scrum masters which makes it difficult to execute large size projects. Scale Agile Framework is for scaling agile to larger enterprise teams. The framework helps you implement scrum of the scrum and get true value out of your agile implementations. 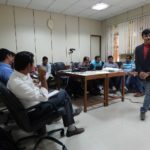 Q. I have never worked as a scrum master, can I still do Scaled Agile Training? A. 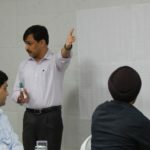 Ideally, experience or knowledge of scrum is recommended for people who plan to go for scaled Agile framework training, though, it’s not a mandatory criterion. A working understanding of scrum makes it easy to understand the challenges you face in the scrum and how you can overcome those using the scaled Agile framework. Q. How can SAFe Agilist help me in my career? A. Enterprises are looking for experts in Lean and Agile. Scrum in itself is a minimal framework and to achieve true potential of Agile, an enterprise level framework is necessary. Currently scaled Agile framework is adopted by service enterprises such as IBM, Wipro, Infosys, Cognizant, TCS on a bigger scale. Many organizations have enrolled as a gold partner with the scaled agile consortium to lead SAFe implementation. Q. What are the target profiles for me after I get certified as SAFe Agilist? A. You can apply for Scrum of Scrum Roles, Enterprise Agile coach, Scrum Coach, or senior scrum master roles after understanding and learning the SAFe Framework. Q. How is SAFe Connected with Lean? A. SAFe is a lean, agile framework. The SAFe Portfolio recommends having a lean Portfolio management function which is the highest decision-making body. The people holding this position are aware of the financial position of enterprise, they understand the risk associated with the various project and allocate the portfolio accordingly. The empowered LPM is very important for the success of scale agile framework implementation. Q. Is this framework limited to software development only? A. Yes, Primarily SAFe is an enterprise software development framework. Though the founder of SAFe does not put any such limitations, the real use of this framework and little success till now have only been in information systems. Q. Can I do SAFe certification online? A. No. The complexity of SAFe framework and the sophistication cannot be delivered online. It’s a hands-on framework, and a face to face interaction is necessary to understand the framework well. Q. Where and how do I renew the SAFe certification? Log on to Scaled Agile community portal. Go to certifications. You will find all your SAFe certification listed here. Click on Leading SAFe certification and proceed for renewal. You would need to pay $100 to get your certificate renewed. Q. Is there any pre-requisite for renewal? A. As of today, there is no such requirement. The SAFe Framework keeps updating on a regular basis to cop up with the changing business requirements. It is recommended that you go through the updated SAFe Workbook and the SAFe big picture to keep yourself updated. Q. Where can I find information about the big picture of the SAFe framework? Q. 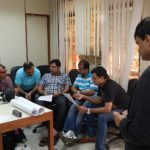 What is the safe agilist certification cost in India? A. The training cost for the Leading SAFe framework range between 20-24000. This cost is including the cost of the certificate. You will get a one-year membership for the scaled agile community website. Q. What is the value of safe agilist certification from the job perspective? A. The Scaled Agile Leading SAFe certificate is quite popular among the Scrum and Agile professionals. Since scrum is limited to the team level implementation and it’s a minimal framework, organizations often struggle to keep up with the scalability issues. Among all the frameworks for scaling (LESS, SAFe and Disciplined Agile Delivery), the SAFe framework is leading market player with around 60% adoption. Q. 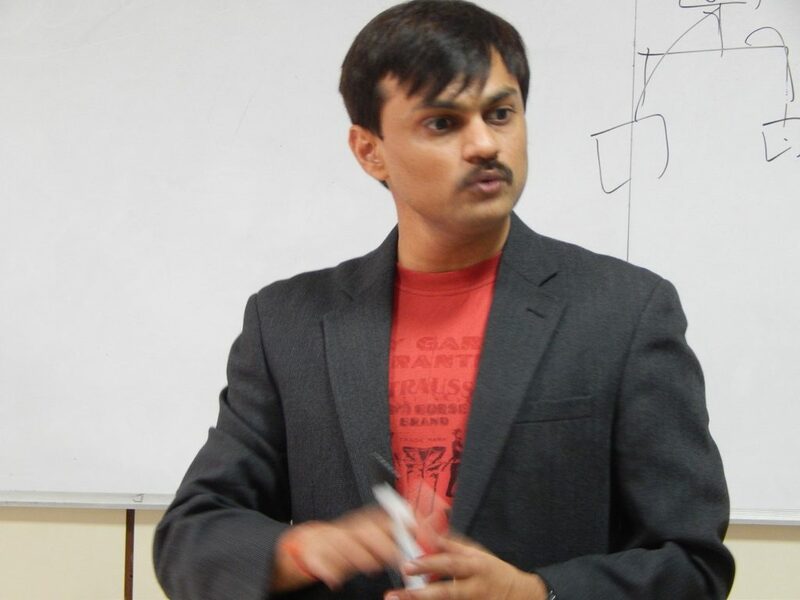 Which all Companies would consider hiring people with SAFe certification in Hyderabad? A. Most tech service companies are operating out of Hyderabad gold or silver partner with the scale Agile Academy. The founders of SAFe are helping companies adopt this framework. Some of the prominent gold partners are Infosys, TCS, IBM, Wipro and Cognizant among others. The certified SAFe Agilist are very much in demand for leading the implementation of the Scaled Agile framework. Q. What is the safe agilist exam pattern? A. 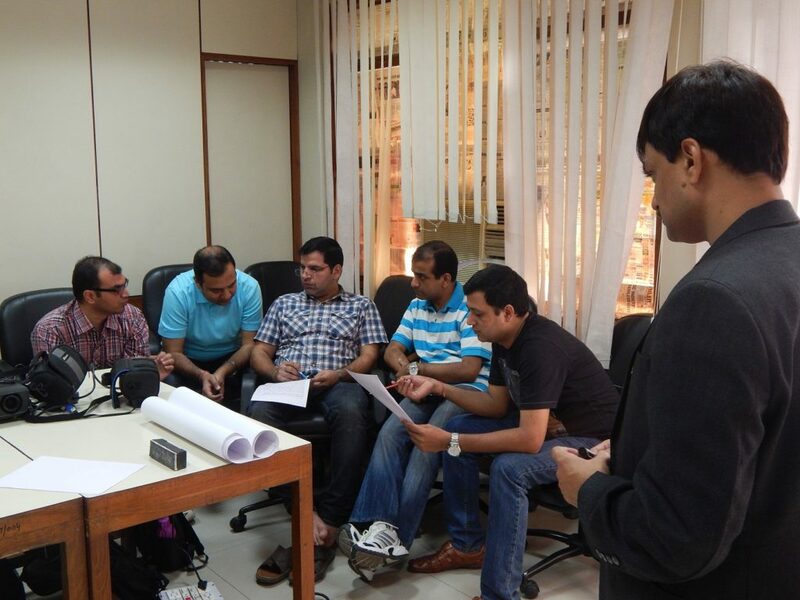 The Leading SAFe or the SAFe Agilist exam is conducted online. It’s an open book multiple choice exam with 55 questions. You should score 65% to clear the exam. The time allotted is around 120 minutes. Q. What other certifications should I attend after doing the SAFe course? A. The SAFe Agilist or Leading SAFe is the first step in the Scaled Agile journey. You can do a SAFe PMPO certification or go for the SAFe Program consultant who is the certificate for SAFe trainers. Q. I want to do safe certification in Bangalore. Do you provide SAFe training there as well? A. Yes, we currently offer SAFe Agilist certification in all major IT hubs or India, including Bangalore, Delhi-NCR, Pune, Chennai, and Hyderabad. In general, we organize one public workshop of SAFe Agilist every four weeks. Q. What is the cost of SPC certification cost in India? A. The cost of public training of SPC 4.5 is around INR 200000 including the cost of certification. The GST would be extra. Q. 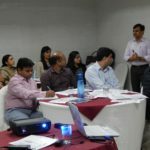 What is your success rate for scaled agile framework training in Hyderabad? A. Izenbridge has regular batches of the Scaled Agile framework in Hyderabad. In fact, we have the maximum number of successful batches in India across all cities. We have been able to achieve a 100% Success rate in all our batches. We also offer a retake assurance which means if you are unable to clear the exam in first attempts, you can take one more chance and izenbridge will refund the cost of our second attempt. We have one in thousand candidates who are unable to clear in the first attempt. Q. 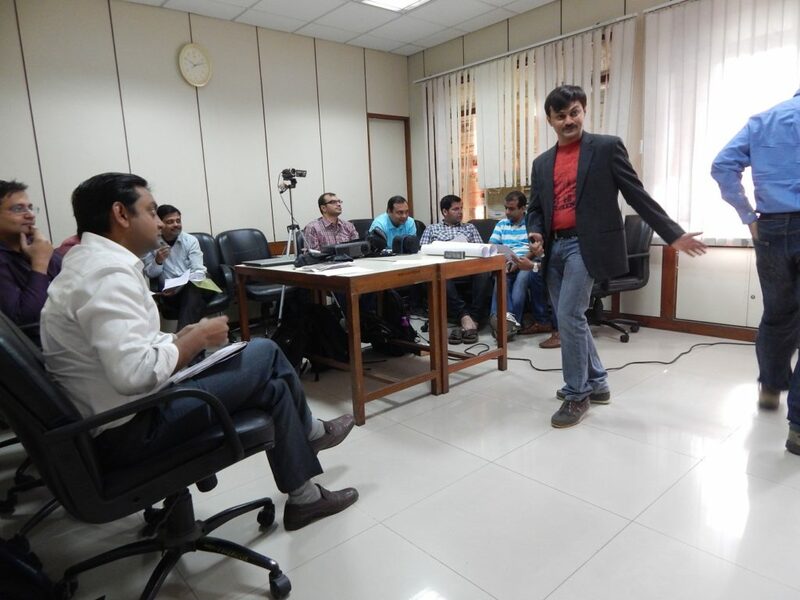 How is your batch different from available safe agilist training in Hyderabad? A. Here are few factors which differentiate us from the other training providers. 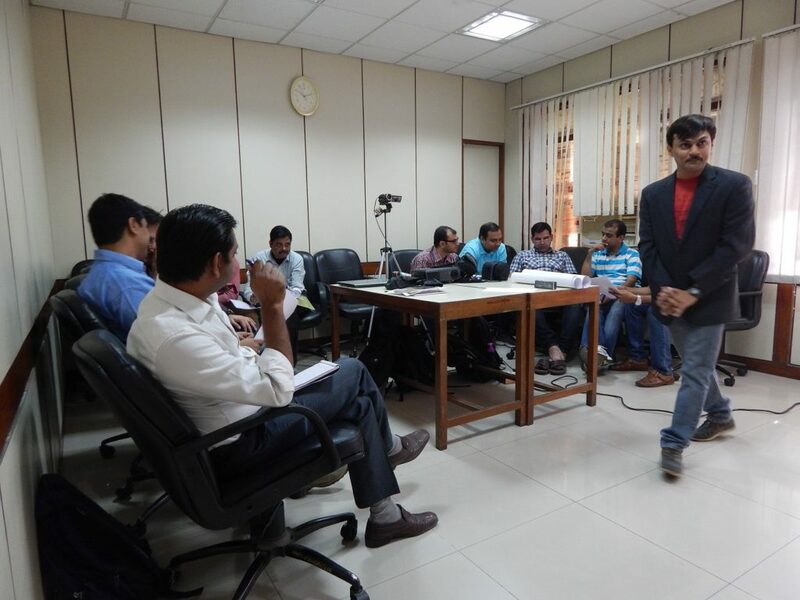 Regular batches – We conduct regular batches of the scaled agile framework with almost zero cancellation, unlike on the fly institutes who publish the batch, collect your money and then leave you following up for the batch which never happens. Scaled Agile Academy has a minimum threshold of 5 participants to conduct a batch, and most providers are unable to meet this number. iZenbridge batches are rarely canceled and postponed. Expert trainer- We constantly monitor the quality of training. Our trainers are carefully selected SAFe program consultants who carry the experience of implementing the framework with multiple teams/organizations and share lots of practical experience which takes you beyond the bookish knowledge. Online content – Our training are accompanied by the online video content created to help you understand the Scaled Agile framework. The online content stays with you before and after the class, you can refer to the scaled agile videos anytime you need to refresh your understanding of the scaled agile framework. Simulation test- No other provider will be able to offer you the simulation tests on the scaled agile framework, thereby risking your chances of clearing the SAFe exam in the first attempt. Retake assurance – We are the only provider of Scaled Agile training with a retake assurance; if you are unable to pass your SAFe Agilist certification exam even after attending our training or taking the online simulation exams of izenbridge, we offer you a free retake and ensure you have necessary preparation to clear the certification in the second attempt. A. The cost of SAFe Agility certification can be divided into two parts. 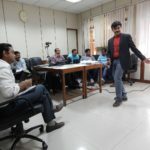 The cost of training – The cost of training is around INR 20-22 thousand depending on the provider and the city. This cost includes the study material, online content, and other components. The cost of certification – The cost of certification is around 100 USD. Since as a participant you don’t have an option to enroll for the exam. The exam registration is done by training providers, and the cost of the exam is included in the training package itself. Q. What is SAFe (Scaled Agile) certification? A. SAFe or the scaled Agile framework is used for Scaling the Agile practices within organizations. It’s a scrum of scrum frameworks to scale agile within multiple teams. The certification proves that you have a practical understanding of the scaled Agile framework, you would need to attend a two-day leading agile workshop and complete an online exam to get certified as a SAFe practitioner. The certification validates the knowledge of the framework, lead principles and ability to adopt at lean and SAFe at the enterprise level. Q. What is SAFe in Scrum? Q. What is the SAFe agile process? Emphasizes people over technology Promotes organization hierarchy. Q. What are the organization levels in SAFe? Portfolio Level – at portfolio level is the leadership team which defines the vision for the organization, makes investment decisions, and provides direction to the organization. Program Level – Program level leadership is meant to take care of the specific value stream inside your business. The program level breaks the value stream in the smaller features to create a program backlog. Team Level – The team level leadership breaks the program backlog further to create stories. Scrum is followed here to complete the product backlog. The complete stories would further integrate into the upward stream to create a program level and portfolio level integration. A. SPC4 is the certification for SAFe Program consultants. After earning this certification, you can conduct public and corporate batches of the scaled Agile framework. You can also lead the safe implementation of the portfolio and program level. Q. What is an SPC certification? A. SPC stands for SAFe program consultant; It’s a five days hands-on workshop where you master the Scaled Agile framework. You can lead the implementation, train people on a SAFe framework or become an enterprise level Agile leader after completing this Course. Q. What are the core values of safe? A. The four Core Values of alignment, built-in quality, transparency, and program execution represent the fundamental beliefs that are key to Safe’s effectiveness. These guiding principles help dictate behavior and action for everyone who participates in a SAFe portfolio. Q. What does Enterprise agility mean? A. Enterprise agility stands for the organization’s capability to respond to change and adapt to the evolving market conditions. In an agile enterprise, the decision making is decentralized; information flows down faster, there is less stress of hierarchy, reporting structure, etc. Kanban, Scrum or other agile framework are followed at the team level to improve productivity and delivery; overall the organization is lean and responsive to change. Here are the 20 free questions which can strengthen your preparation and can help in identification of weak areas. Which one of the following is the ‘Goal.’ of Lean? ‘Respect for People and Culture,’ ‘Relentless Improvement’ and ‘Innovation’ are values of Lean-Agile mindset. How Decentralized Decision Making Helps? The decision-making framework overall helps in generating better economic values by reducing cycle time; the decisions need big economic trade off are done centralized, whereas decision which needs to be taken frequently and timely are decentralized. What is “Build incrementally with fast, integrated learning”? In traditional systems, we keep accumulating the development cost without delivering value till late in project/product development, with incremental development we delivery value frequent and often. The SAFe Principles should be implemented in sequential order rather than concurrently. All principles are foundation, so we do not have any sequence or preference for them. Which one of the following is the main purpose of DevOps? DevOps is an Agile approach to bridge the gap between development and operations to deliver value faster and more reliable. SAFe enterprise implements DevOps to break down silos and empower each Agile Release Train (ART) and solution Train to deliver new features to their end users continuously. Over time, the separation between the development and operations is significantly reduced and trains operate with an automated, continuous delivery pipeline. What is Connection between Features and Capabilities? Features and capabilities are developed and managed through the Program and Value Streams Kanbans, respectively. Capabilities are split into features. After the split, these features are moved from value Stream to Program backlog. Every backlog is emergent in nature, and some features may come directly in program backlog instead from the Value Stream backlog. Having said that, at program level product management team is free to make some level of local decisions (centralized and decentralized decision making ). And they may pick up features which may come directly in program backlog, we can also have program epic at this level and may get features as a result of disaggregation of program epic. 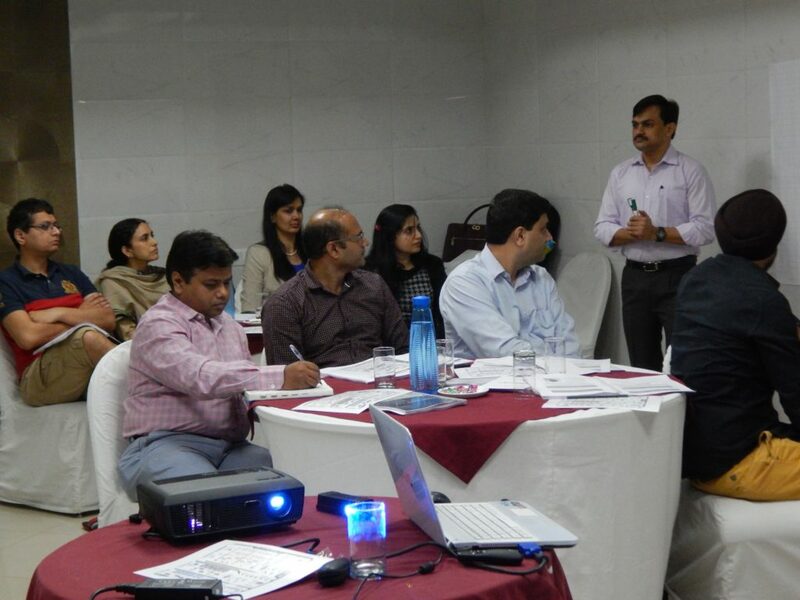 What next after training of executives, managers, & leaders in new SAFe implementation? Training helps in creating the sense of need, urgency. Afterward, it is time for the actual SAFe implementation, which includes identifying Value Streams and Agile Release Trains (ARTs). Value Streams and ARTs are the organizational backbones of a SAFe initiative. Which one of the following is true regarding team’s commitments made in PI planning? A team commits to all PI objectives. Objectives are business summaries of what each team intends to deliver in the next PI. During PI planning, Strech Objectives are items which are low in confidence for commitment. Stretch Objectives are not included in Team commitment. According to #3 of SAFe – ” Assume Variability; preserve options we do consider alternatives rather preserving options. How to measure average lead time using CFD? The cumulative flow diagram is used to measure the flow of Kanban system. Feature requires participation of a lazy Supplier. Best prioritization is? In WSJF, important jobs have to be divided into smaller, pretty important jobs to cut easier ways of making money (i.e. small, low-risk jobs that your customers are willing to pay for now). Since the implementation is incremental, whenever a continuing job doesn’t rank well against its peers, then you have likely satisfied that particular requirements sufficiently that you can move on to the next job. Let’s take an example, During Pre-PI Planning, Product Management realizes that three features require the participation of a Supplier, who has proven able to deliver but usually takes longer to coordinate and execute. In that case, the best approach is to make adjustments to the Job size of the WSJF value for each of these features, as it will take longer to implement them. Who owns the value stream budget allocation? Portfolio in SAFe includes the set of development value streams. Program portfolio management manages the budget for each Train. Each Value Stream has its budget. SAFe recommends funding value streams, not projects. Which one of the following is true about Strategic Themes? Strategic Themes connect each SAFe portfolio to the enterprise business strategy. Strategic Themes influence ART funding, Portfolio Backlog, Program Vision, and Roadmap. Strategic Themes represent the key direction for the portfolio. Strategic Themes provides business context for decision-making within the portfolio and influence investments in value Streams and serve as input to the Economic Framework, Budget, Portfolio, Solution, and Program Backlog decisions. Which of the following is NOT a step in the Portfolio Kanban? 6. Done: Here success criteria for the Epics have been met. The SAFe portfolio Kanban system is used primarily to identify and manage the flow of epics that affect the course of action for value streams and the Agile Release Trains (ARTs) that realize them. Which one of the following is the primary role of the SAFe portfolio? The primary role of the SAFe portfolio is to finance and nurture a set of solution development activities. These set of solution development activities enables the business strategy. And to enable this, each portfolio must execute within approved operating budget. Roles at the portfolio level are involved in PI planning and solution development activities to make sure an alignment with business strategy. When is Pre-PI Planning needed? When PO and PM can not plan contents. In a large value stream, the pre-and post-PI planning meetings allow Agile Release Trains to build an aligned plan for the next Program Increment. These activities support and coordinate the various ARTs involved in the value stream. Planning at this level helps bring alignment to the building of the Solutions and provides direction and visibility into where the solution is going in the next Program Increment. Mitigating investment risks for the Value Stream? provides a regular cadence for objective evaluation of the solution and for gathering stakeholder and Customer feedback. The Solution management is the one responsible for refining and prioritizing capabilities, as per Solution Increment Definition of Done Solution Management accepts the capabilities after Solution Demo. What can be the benefit of increasing or enhancing enterprise agility? Enterprise Agility aligns the organization using a set of lightweight practices. By doing that, the organization as a whole can adapt quickly as the market changes. What is the recommended frequency for updating Lean budget distribution? Doing this at PI Boundary is a good idea , since when we go though the SAFe slides on Budgeting, we see these adjustments made on PI boundaries. Which of the following in SAFe is an example of applying cadence and synchronization? A PI planning meeting is a cadence-based, face-to-face event that serves as the heartbeat of the ART, aligning all the teams on the ART to a common mission and vision. 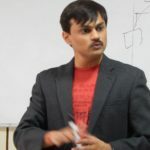 A successful Agile Coach/Trainer with the 16 years of IT Leadership experience while working for clients like AMEX, IBM, Ca Technologies, CSC, Mahin IBM, Ca Technologies, CSC, Mahindra Satyam, IBM, Ca Technologies, CSC, Mahindra Satyam, NTT Dat dra Satyam, NTT Data NTT Data, UHG, Cisco a, UHG, Cisco , UHG, Ciscoand extensively travelled on Consulting/Business Development, Delivery and Agile Transformation assignments.